U.S. Health and Human Services reported about 12.7 million Americans signed up for health insurance though government exchanges in 2016 during enrollment period which closed on January 31, 2016. 37 states utilize HealthCare.gov as the primary resource for participation whereas the balance states host their own customized program to include California and Washington D.C.
Avalere Health, a leading health care consulting firm, estimated 2016 year end covered at approximately 10.2 million accounting for those leaving the system due to job change and even inability to meet the programs costs for coverage. This is the 3rd year of the Affordable Care Act, referred to as Obamacare that was initiated in 2014 and passed into law on March 23, 2010. The law requires Americans to have insurance or be subject to a fine. In 2013 there were approximately 14 percent of American uninsured before the law, today it’s estimated that about 9 percent of Americans are not covered. By year end this figure is estimated to jump back up about 2 percent. Even with the reported success of participation exceeded President Obama’s expectation of 10 million insurance within the exchange this year, Insurance carriers still claim to have unstainable losses on services provided within the exchange. This is reflected in the reduction of services covered to physicians all together opting out of the program. There is still significantly controversy over Obamacare in American rights to manage their own health care needs for items such as birth control and employer rights for mandatory coverage. In late 2015 the Supreme Court rejected challenges to Obabcare but other challenges are following. This is agitated by an upcoming election where a majority of those running for candidacy oppose Obamacare. Navigating Health Care services was already a difficult challenge for many, the HealthCare act only adds to the complexity of service needs and availability. 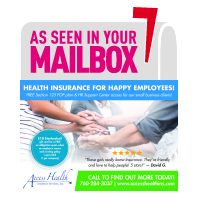 Access Health Insurance Services can help you navigate the vast ongoing changes within the industry without any additional cost to the HealthCare plan you choose from Individual to large group plans. Previous Post: « Tax Penalty Special Enrollment!